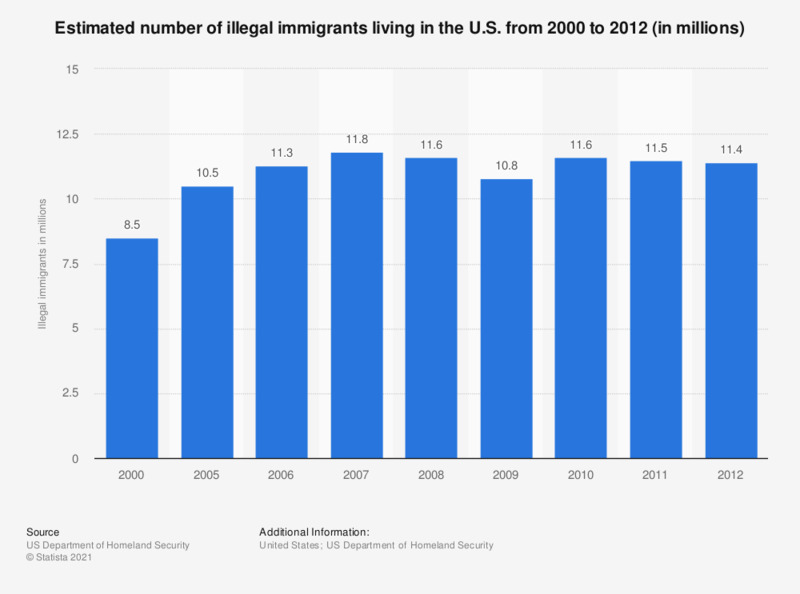 The statistic shows the number of illegal immigrants living in the U.S. from 2000 to 2012, as estimated by the Department of Homeland Security. As of 2012, about 11.4 million illegal immigrants were living in the United States. The data presented here are estimates. There are no data available for years 2001-2004. Numbers from 2000 to 2009 are based on 2000 census counts. Numbers from 2010 to 2012 are based on 2010 census counts.